The Supreme Court bench of Justice RK Agrawal, Justice Arun Mishra and Justice AM Khanwilkar on Monday reserved judgment on a writ petition filed by the NGO Campaign for Judicial Accountability and Reforms (CJAR) seeking an SIT probe into the allegations of criminal conspiracy and illegal gratification of sitting Supreme Court judges to procure a favourable outcome in the Lucknow Medical College Admission scam. In a November 14 judgment, the apex court had dismissed an identical petition by advocate Kamini Jaiswal. 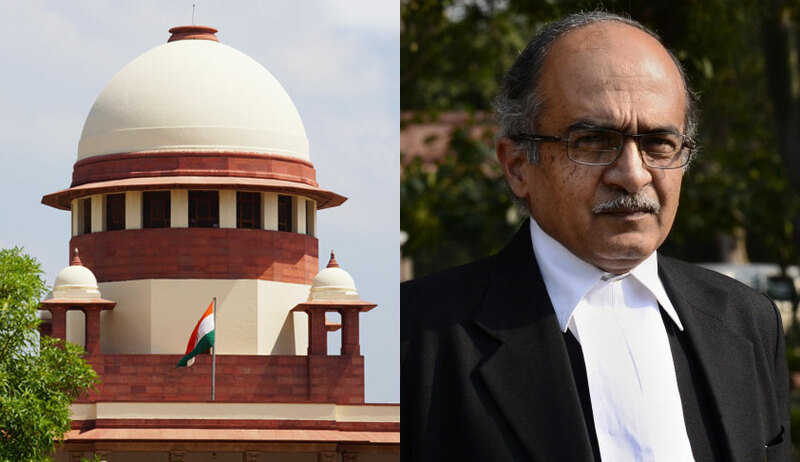 Bhushan further contended that the FIR dated September 19, lodged against former Orissa High Court judge Justice IM.Quddusi, named 5 private persons and 7 other unknown public servants and private persons, which formed the basis of the earlier petition, was also disregarded by the Supreme Court in the judgment of November 14. Bhushan relied on the judgment of the top court in K Veeraswami vs Union of India [(1991) 3 SCC 655], in so much as it was held therein that the judges and judicial officers are not exempted from the application of the Prevention of Corruption Act of 1988 even while they hold office. He requested the bench to “take a quarter step further ahead of the Veeraswami judgment” by allowing a Supreme Court-monitored SIT to conduct the inquiry in matters involving the Chief Justice, as against the President of India who, in turn, acts in consultation with other Supreme Court judges. “Is CJAR a registered body? Why does the affidavit not provide that the body is being represented through its Secretary Cheryl D’souza? What is the basis for the averments in the present petition apart from the FIR,” inquired the bench. The matter is listed for the pronouncement of final order and judgment on Friday.